I am excited to begin the new year with a fresh way to rotate all of the makeup in my collection plus what I hope is a more efficient way of getting ready on those days that I do wear makeup. I am not an everyday makeup wearer and will probably only have time for it 3-4 days a week, but having everything I need picked out ahead of time should help me get ready faster. I will be picking out each week's makeup on Sunday night, using everything for a week and then hopefully recapping everything here at the end of seven days. Here is where I hope to rediscover some favorites, rotate my collection and learn which products just need to be passed on or thrown out. One of my resolutions is to stop keeping products that I don't like, to really declutter what is unnecessary and only keep things I enjoy and will actually reach for. With that being said, let's get started with week #1. The Urban Decay Naked Palette was a definite standout. I have had this palette over a year and almost never reach for it. This time I really enjoyed using it and I LOVED the eye look I created with it. I will definitely have to revisit this palette very soon! I am such a fan of Lancome overall and their lip products are some of my favorites. In recent months one of my "obsessions" has been the Lancome Juicy Shaker in Berry In Love and this week was no exception. I love Juicy Shakers so much, they are a tint-in-oil lip product that feels so amazing on the lips and provide a hint of color. Berry in Love is my favorite but I do own three others. I also rediscovered my passion for Lancome Juicy Tubes. I used to collect Juicy Tubes and at some point had over 30, but it's been at least 10 years since I had a new one. I have the shade Simmer which was still new for some reason and after using it all week I remember why I loved these glosses so much. The formula is thicker, it's very plush and it smells just like Skittles. I actually would love to get a few more because I have heard they are being discontinued. The LORAC Pro Palette is finally leaving my collection. I've had this palette a while and for some reason have never liked it. The shadows in this palette just don't sit well in my dry lids and no matter how much I try to get a look I enjoy out of it, I never have. 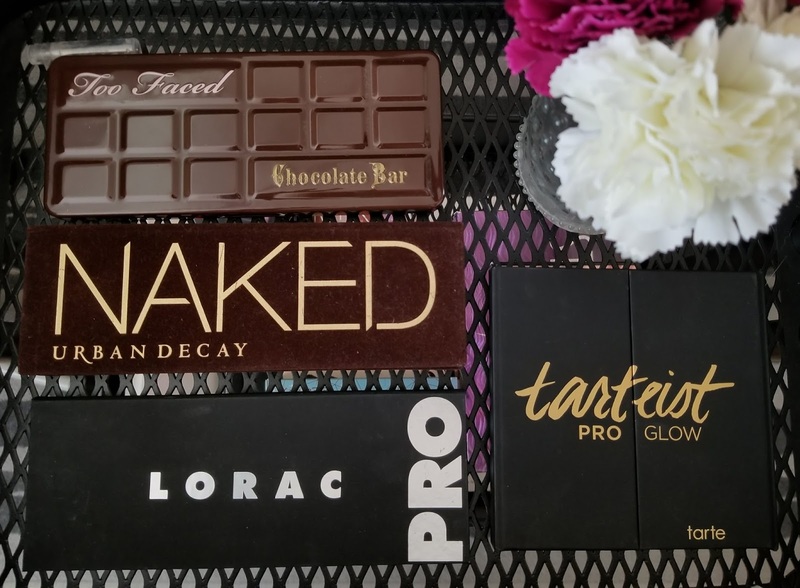 LORAC shadows overall are not my favorite, I do own quite a few other LORAC palettes including the LORAC Mega Pro 2 which is actually still new. BTW: I love their California Dreaming palette which was limited edition from 2017. I am a little sad to be getting rid of this palette but knowing that it's just getting old in my collection is reason enough to pass it on to someone who will really enjoy it. I plan on giving it away since it's very gently used and will not be throwing it out because someone can still get tons of use out of it.